You don't need to be a three-hat chef to know that even the best ingredients can be ruined when prepared badly. A desire to experiment is all very well, but how do you ensure your bright ideas translate into gourmet success? 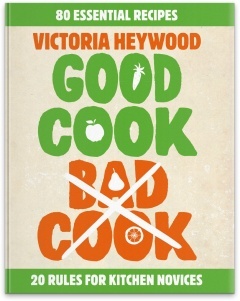 Luckily, enthusiastic home cook and food journalist Victoria Heywood is on hand to ensure your endeavours don't result in a culinary disaster. In her friendly conversational style, Victoria talks readers through the history and cultural significance of a range of ingredients and popular dishes—from bread to burgers, pesto to pies—before sharing recipe ideas and inspiring serving suggestions. Each double-page spread focuses on one recipe and comes bursting with helpful hints and advice to ensure you stay well clear of any culinary faux pas. An informative resource for the confident cook and an excellent handbook for the novice looking to expand their repertoire and pick up some helpful hints along the way, Good Cook Bad Cook is more than just a recipe book and will delight readers with its informal yet informative tone. 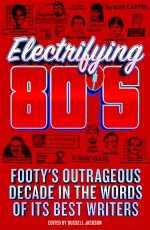 Read an extract that appeared in The Examiner Newspaper. Read an article from the Northcote Leader Newspaper.